Whistleblowers Today | Report a Fraud. Get Rewarded! In 2010, the Department of Justice recovered $4 billion in Medicare and Medicaid fraud. More than 80% of all successful recoveries were brought to the government by whistleblowers and their lawyers, according to the Taxpayers Against Fraud Education Fund. The Securities and Exchange Commission promises whistleblowers 10% to 30% of penalties obtained for original information that contributes to the recovery of at least $1 million. Our team of expert investigators and experienced whistleblower attorneys will help you piece the puzzle together, and make your case for you. We will evaluate your case at no cost to you. Report a Fraud … Get Rewarded! Billions have been awarded to whistleblowers who have stepped forward and filed qui tam suits on behalf of the federal and state governments. If you have specific information related to financial statement or accounting fraud, contact us and we will analyze your case and provide step-by-step assistance with filing a whistleblower claim. New York, New York – Milberg LLP today announced that the United States Department of Justice, the Tennessee Office of the Attorney General and Reporter and a whistleblower represented by the Firm have reached an agreement with Tennessee-based CareAll Management LLC and its affiliated entities (“CareAll”) to resolve civil fraud liability under the Federal False Claims Act (“FCA”) and the Tennessee Medicaid False Claims Act (“Tennessee MFCA”) for $25 million, plus interest. The settlement also required CareAll to be bound by the terms of an enhanced and extended corporate integrity agreement with the Department of Health and Human Services – Office of the Inspector General (“HHS-OIG”) to avoid future fraud and compliance failures. The government intervened in a whistleblower (“qui tam”) lawsuit brought by Toney Gonzales, a registered nurse who was the Director of Services for CareAll’s Knoxville Office from June 2011 to January 2012. Mr. Gonzales alleged, among other things, that CareAll: (1) upcoded patients’ conditions on OASIS and 485 forms resulting in fraudulent billings to Medicare and Medicaid, and (2) provided home health services to patients who were not homebound and when services were not medically necessary. Milberg partner Anna C. Dover and local counsel Michael Hamilton of the Provost Umphrey Law Firm LLP represented Mr. Gonzales in his lawsuit against CareAll. Mr. Gonzales will receive $3.9 million as his share of the government’s recovery. The lawsuit was filed in April 2012 in the Middle District of Tennessee under the FCA and was amended in August 2014 to include allegations pursuant to the Tennessee MFCA. The FCA and the Tennessee MFCA permit private parties to sue on behalf of the federal and state governments when they believe an individual or company has submitted false claims for government funds. “We are thrilled with this result. 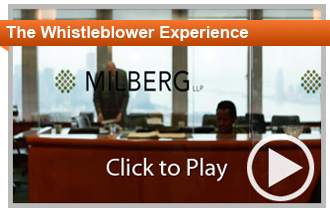 The combination of tireless government attorneys working with a stellar whistleblower and his attorneys embodies the public/private partnership contemplated by the False Claims Act and demonstrates how workers at any level within a company can make a difference by exposing fraud.” said Milberg partner Anna C. Dover. The government was represented by Assistant U.S. Attorney Christopher Sabis of the U.S. Attorney’s Office for the Middle District of Tennessee in Nashville and Trial Attorney Susan Lynch of the Civil Division of the U.S. Department of Justice and was assisted by agents from the HHS-IOG and the Tennessee Bureau of Investigation. The case is docketed as United States ex rel. Toney Gonzales v. J.W. Carell Enterprises, Inc., et al., No.12-cv-00389 (M.D. Tn.). For more information about the case, contact Anna C. Dover. The U.S. Securities and Exchange Commission (SEC) announced that it began re-examining its approach to settlements, including the no-admit, no-deny policy, and where admissions of guilt “could be in the public interest.” Those situations include cases in which admissions might safeguard against risks posed by the defendant to the investing public or when the defendant obstructed the SEC’s investigative processes. The SEC usually settles its cases without the defendants admitting guilt, but the agency’s settlements also prohibit the defendants from denying the allegations, the letter said. The U.S. Securities and Exchange Commission (SEC) announced that it planned to change its no-admit, no-deny policy for select cases involving misconduct that harmed large number of investors. The potentially groundbreaking policy change, of which the SEC informed its enforcement team in a Monday letter, comes in the wake of federal judges criticizing the SEC for allowing major financial institutions to settle massive litigation without admitting or denying any wrongdoing. “This is not a criticism of the past practice and having ‘no admit, no deny’ settlement protocols in your arsenal as a civil enforcement agency … (is) critically important to maintain,” she reportedly said. The SEC would require admissions or acknowledgment of misconduct if the agency deems them critical and would litigate the cases if the defendants refuse to confess, according to the letter. The letter added, however, that insisting upon admissions in certain cases could delay the resolution of the cases and that many cases wouldn’t meet the criteria for admissions. Experts predicted Tuesday that the change in SEC policy could lead to more high-profile securities trials but also jeopardize settlements. 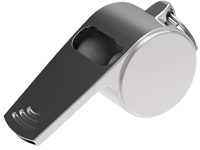 A whistleblower is an employee, former employee, a member of an organization, or a third party who reports misconduct that cheats the federal or state government, or violates securities laws. Generally, the misconduct is a violation of a law, rule, regulation, and/or a direct threat to public interest. Fraud, health, safety violations, and corruptions are just a few examples of possible misconducts. Milberg Director of Investigation Steven Bursey, a veteran FBI agent, explains the process of filing a whistleblower claim. Reporting Government Fraud - Qui tam is a Latin legal phrase synonymous with whistleblower. The qui tam laws in federal and state False Claims Act cases allow a person or company with specific knowledge of fraud on the government to bring a lawsuit on behalf of the United States, and one’s own behalf, and receive a share of up to 30% of the proceeds. SEC Whistleblower Program - The Securities and Exchange Commissions Whistleblower Program, created under the Dodd-Frank Wall Street Reform and Protection Act, protects and rewards an individual or individuals who voluntarily report original information relating to violations of the securities laws such as stock price manipulation and accounting fraud. Under the program, whistleblowers can now receive from 10% to 30% of the monies collected based on the whistleblower's information.